For those of us who live in the U.S., the patriotic season begins in late May with Memorial Day and stretches out to November, when we honor those who served in the armed forces on Veterans Day. There are also other holidays in between, including Flag Day, the 4th of July and Labor Day. Those would be considered the primary patriotic holidays but there are also plenty of others. The first, Armed Forces Day, actually falls before Memorial Day. Then we have Citizenship Day and Patriot Day in September, followed by United Nations Day in October. Many people in the U.S. take the major patriotic holidays seriously, in addition to some of the minor ones. This is probably partially due to the fact that so many people have war veterans in their families, or at least know people who served. For people with connections to armed forces personnel, these particular holidays are personal. That is probably the reason why many people use free printable vintage Veterans Day postcards or veterans clip art to send greetings to veterans for Veterans Day. The simple act of sending cards to retired military officers or soldiers can mean the world to people who may feel they've been left behind. This especially applies to soldiers returning from Iraq. They have experienced some true horrors and deserved to be thanked for doing that on our behalf. People don't make a big deal over Veterans Day like they do with Independence Day, so it would be easy for veterans to think we don't care. In many cases, no one was waving American flags as they returned home. And you usually don't see that kind of hoopla for Veterans Day either. That may be because some people are uncomfortable with even thinking about war and strife. It would probably be better to just extend our thanks to a veteran every time we see one. That way they'll know they're appreciated all year-round, not just once a year on Veterans Day. That small remembrance by even one person can mean a lot to someone who may feel forgotten. 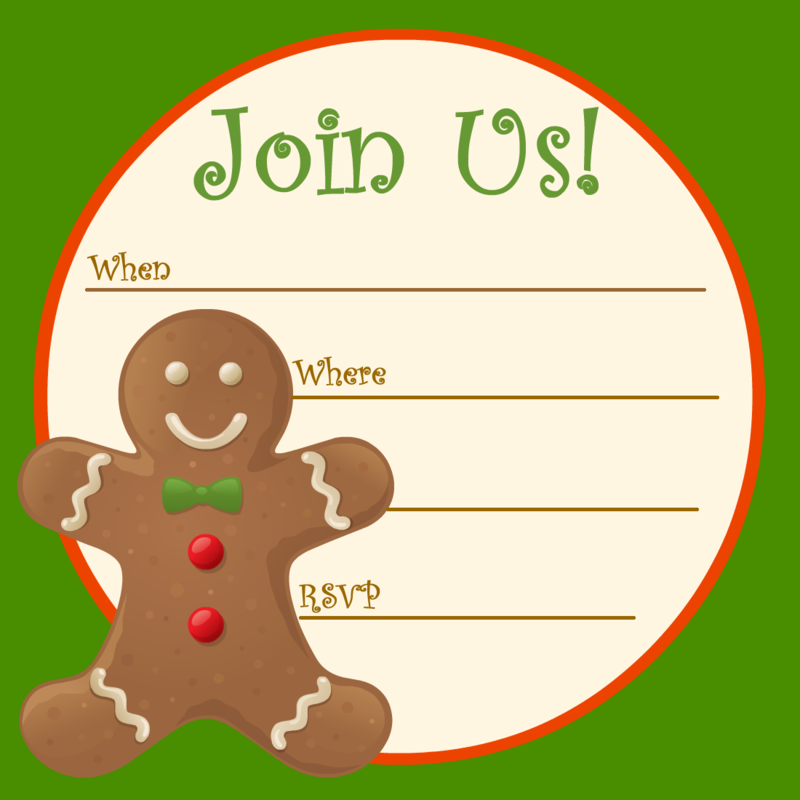 There are a huge number of free printable Christmas party invitations you can download online. Simply find the look, size and message you like, paste the artwork into Word or another word processing program and print. If you choose well, the results should rival store-bought invitations. Many types of holiday decorations can be made at home just using clipart you can find on the Internet. These can be printed and placed all over your house, including being used as napkin holders or menu cards. If you're so inclined, try some glitter glue to make things more sparkly. While planning the menu for your party, look for Christmas appetizer recipes that don't cost a lot to make and also provide that "wow" factor. An example of this is to serve a low-cost dip in a hollowed-out purple cabbage bowl, or filling baked puff pastry cups with pre-packaged cheese spread mixed with imitation crab and Tabasco sauce or any type of filling you prefer. Christmas music is soothing and a great party starter. You can always use holiday music recordings, of course, but live music is so much better. And live music doesn't necessarily have to cost a lot. If you don't have friends or family members willing to play free, inquire at a local school's music department. There may be some musicians who would be willing to work for free or just a small fee. There are probably other methods you can think of to stretch your holiday entertaining budget. Just be sure to keep your guests' experience in mind and don't let inexpensive become downright cheap. If you stay focused on being classy, your guests won't know the event was a bargain to produce. If you're too busy to spend time on Halloween craft projects but you'd like to do some kind of activity with your family, you're in luck. The online world is a great source of free Halloween images that can be used to make simple crafts. As an example, crafts made from these Halloween images found on the Internet are simple to make, because vintage images are versatile and also quite effective when it comes to delivering a Halloween vibe. There's something for everyone, because vintage Halloween images range from sweet to gory to scary. Vintage images can also be downloaded and used without fear of copyright problems. That's a terrific bonus, because you don't have to worry about using other people's art illegally. Just a simple online search using the search term “vintage Halloween” will give you a huge selection of free vintage images from which many craft projects can be made. And, of course, if you don't like vintage, contemporary Halloween clip art can also produce great craft projects. When you've downloaded the Halloween image you'd like to use, paste it into a Word, PowerPoint or OneNote document. You can make the card virtually whatever size you want by adjusting the software's settings. Place the image on one half of the card, so it can be folded in half after it's printed. Print the card on card stock as heavy as your printer will allow, fold it and and apply just a little glitter glue to make it sparkle. You can also make your own envelopes or just get some at the dollar store. Download the art you want to use to your hard drive. Then, print enough clip art images to fit around the wreath and cut them out with scissors or a craft knife. You can also vary the look by using Halloween scrapbooking paper cut into bat or leaf shapes. Once all the pieces are cut, stick them to the wreath with the pins. You might need to adjust the pieces a bit to find the right look. The straight pins should make it easy to reposition the elements. (Just make sure small kids don't get their hands on the pins!) When you're done, hang it from a ribbon. I sincerely hope you enjoy making these crafts, and that your Halloween is fun! The majority of people wait until at least October to begin thinking about Christmas, but not yours truly. That's because I love Christmas. Though I do admit I'm happy to move onto other things right after it's over; by Mother's Day I'm ready to give it another go. It's about that time that I begin scouring the Internet to see if I can find any new vintage Christmas clip art to expand my already large collection. That always helps when I begin designing my handmade Christmas cards in the fall. Because of that I don't have to search for images when I'm ready to begin; I can just move right onto being creative and building the cards. Since that's a complicated process, I'm always happy to have image searching out of the way. One aspect I do leave until right before Christmas, though, is the creation of personalized Santa letters for the kids in my family. These can't really go out until the beginning of December because they actually have to be sent to a post office located at the North Pole for a postmark. They're then mailed to the kids in stamped, addressed envelopes I provide. The process takes less than 2 weeks, so I don't begin too early. Children get excited enough about Christmas without any help; they don't need to get letters from St. Nick before they've even had Thanksgiving turkey! But it is gratifying to watch them tear open those letters from Santa. Because I make them myself, I'm able to put in details to promote the illusion that the letters really come from him. If they have toys they've been wanting, "Santa" lets them think that they'll only get them if they behave well. If they've been fighting with their siblings at the time the letters are mailed, I also say they must get along with everyone in the house if they want Santa Claus to visit them. Nothing like a little pressure from Santa Claus to get kids to behave! And I still can't rest even after I get my holiday cards and letters from Santa mailed. I always make handmade New Year cards for a select few friends and family, along with a custom e-mail New Years greeting for the rest. For those I dip into my collection of vintage New Year cards. I make the handmade versions pretty elaborate, since I don't have to make that many. They're a lot of fun to make and I love creating them. Use pre-cut, pre-folded cards from the stationary store, or on the heaviest regular card stock your printer will allow. If your printer will take photo paper, you can print the images on different stock from the cards, and trim them down and then paste them to the front of the cards. Lovely specialty and metallic papers are available that you can use to frame the images by cutting pieces slightly larger than the artwork. You can find these at discount stores such as Target, or at craft stores. Glitter glue pens are great for adding shine to images. Just don't use too much! If you do, the cards will not only look cheesy, they will also warp. The online world is filled with countless free Thanksgiving images that have terrific potential. They can be used to illustrate the holiday on websites or blogs, or for one of my favorite things: Thanksgiving crafts. As an example, crafts made from vintage Thanksgiving cards are easy-as-pie, because vintage images are both versatile and very effective at getting a point across. These pictures also usually cost nothing to download and their use doesn't have any repercussions because their age puts them beyond copyright protection. Just a quick online search using the search term “vintage Thanksgiving cards” will produce a huge number of free images from which many cool crafts projects can be made. And if you're not a fan of vintage, contemporary Thanksgiving clip art or these fall scrapbooking papers can also be used to produce beautiful craft projects. Making thankful garlands can be as simple as having guests or family members write their blessings on leaves cut from construction paper. Then, just print some vintage Thanksgiving cards and with the help of tiny clothespins, affix the cards and the leaves in an alternating pattern onto a piece of yarn or ribbon. If you don't have any clothespins, paper clips, colorful clamps from the office supply store or tape will hold the components in place. If you want, you could also use contemporary Thanksgiving clip art instead of the cards to alternate with the leaves. Once the garland is completed, hang it from a windowsill or a mantelpiece to show off everyone's good work! When you've downloaded the Thanksgiving image you'd like to use, paste it into a word processing or PowerPoint document. You can make the card virtually whatever size you want by adjusting the software's settings. Position the image on one half of the card, so it can be folded in half once it's printed. Print the card on sturdy stock, fold it and use a little glitter glue to make it sparkle. You can also make your own envelopes or just get some at the dollar store. Some believe a Thanksgiving dinner table is bare and incomplete without table place cards. Fortunately, these can be made quite easily using free clip art images or vintage cards. Simply download the the image or images you like and insert them into a table in your word processing or other type of program. Make the table two columns by six or eight rows, depending on how tall you want the cards to be. Paste the art into every other cell, making sure there's enough room to write people's names. Then, print onto heavy card stock, cut the place cards using a paper cutter or a ruler and craft knife and they'll be ready to fold in half. Voila! That's all it takes. Your Thanksgiving table will be instantly more beautiful. I hope you have a great time making these Thanksgiving craft projects and that you have a great Thanksgiving! Don't have a lot of time to spend with your kids making Christmas crafts? Not to worry, because the online world is a great source of free images that can be used to make easy Christmas craft projects. As an example, crafts made from vintage Christmas greeting cards or vintage scrapbook embellishments found online make projects simple, due to the fact that vintage images are both versatile and very effective at conveying a traditional holiday feel. Because of their age, vintage images can also be downloaded and used without fear of copyright infringement. That's a terrific bonus, because you don't have to worry about using other people's art illegally. Doing a fast online search for “vintage Christmas” will net you a large selection of free images from which many fun crafts projects can be made. And if you're not a fan of vintage, contemporary Christmas clip art can also be used to produce beautiful projects. You can actually find free Christmas gift tags on the Internet but you might find it more fun to make your own. Simply download the the image or images you like and paste them into a table in your word processing program. Make the table two columns by six or eight rows, depending on how tall you want the cards to be. Place your chosen art into every cell (or every other cell if you want to fold them), leaving room to write people's names. Then, print onto heavy card stock, cut them out using a paper cutter or a ruler and craft knife. You can also make holes for string or ribbon in the corners by using a hole punch. Once you've gone online and downloaded the holiday image you would like to use, paste it into a word processing or PowerPoint document. You can size the card by adjusting the software's settings. Position the image on one half of the card, so it can be folded in half once it's printed. Print the card on sturdy stock, fold it and and apply just a little glitter glue to make it sparkle. You might also want to make your own envelopes or just buy two-for-a-dollar card and envelope sets at the dollar store and then throw away the cards. Ask everyone to write Christmas messages and the date on the holly-shaped paper leaves. Then, position them in a balanced way around the Styrofoam wreath and affix them with the straight pins. Be prepared to adjust the positioning of the leaves a bit to get them to look balanced. The straight pins will make it easy to reposition the elements. (Just make sure to watch the little ones around the striaght pins!) When the leaves are all in position on the wreath, pin clip art among the leaves. The resulting wreath will be a treasure that commemorates your family's love for a long time to come. I hope you have a great time making these Christmas craft projects and that you have a joyful Christmas! Why not try something different, like a theme that can be implemented without breaking the bank for your guests or you? If you're giving a kids party, you can ask all the guests to bring inexpensive presents suitable to give to a regional animal rescue organization or family homeless shelter. If you call the organization in advance, you can compile a list of low-cost items that can be included with the invitations you send to your guests. Instruct them to wrap the items as if they were regular birthday gifts and then the entire party can meet at the organization to deliver them. Doing this would be a meaningful experience for everyone and would also give children first-hand experience with how good it feels to give to others. For adults, save money by throwing a re-gifting/recycling party. Most people have at least one gift in their closets that they've been given but don't want, so let them wrap them up and give them again! Make sure everyone knows who is on the guest list, though, so people don't re-gift items they received from other party guests! If you're worried about hurt feelings, people can just bring impulse purchases they made but have never used. The items should be limited to a dollar amount that's appropriate for the group, so people at all income levels can participate. The Web is chock full of a nice assortment of printable birthday invitations for kids and adults. So why spend money on store-bought invitations when you can print them at home for just the cost of card stock and ink? There are also plenty of birthday clipart images and birthday scrapbook papers on the Web, many of which would make perfect party decorations. If you can find high resolution art, you can make your own banners and signs for the party. If you can't find the right kind of art, you have the option of decorating flower arrangements or plants with clip art cut-outs or making table place cards. If you like vintage, you can print a selection of vintage birthday cards and tie them with fancy ribbons to a string that forms a garland. This is an easy way to get a vintage feel and make the party more festive! To enhance the shabby chic, vintage theme, get intentionally mismatched plates, glasses and silverware at a thrift store to use in place of plastic and paper partyware. The key to creating a memorable birthday party is to be creative. If you infuse style into your party plans, no one will ever know you didn't spend a lot of money! Now that so many good scrapbooking image designers are Internet savvy, the Web is full of free scrapbook graphics that can be downloaded for no charge. That means all you need to know is how to do an Internet search and download files and you can find all the materials you need to create delightful scrapbooks. That's why popular artist Mary Englebreit recently remarked that the Internet is a great source of digital scrapbook materials that will yield nearly anything you might need. And she's an authority on quality images; products featuring her graphics on them fly off the shelves as soon as they're released! The holidays are great subjects for scrapbooking, since those are the occasions when many of us create some of our most lasting memories. And Christmas, Easter, Halloween and Valentine's Day aren't the only holidays that make people want to create scrapbooks; many people are interested in the minor holidays too. 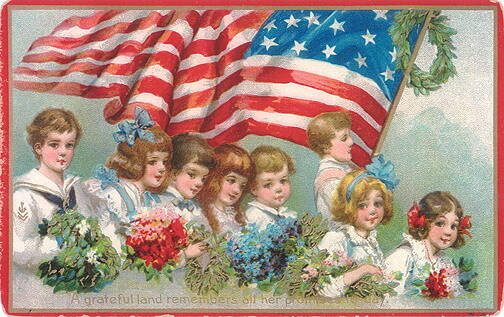 You can find lots of patriotic scrapbooking papers and embellishments on the Web for holidays such as Veterans Day, Fourth of July, Memorial Day and Flag Day. There are also many images out there for Mother's Day, Father's Day, Earth Day and any other holiday you can think of; even the off-beat and downright bizarre ones. More and more people seem to be searching for vintage scrapbook designs. That could be because antique art is so timeless and creates such gorgeous results. 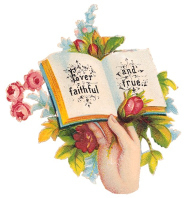 Antique greeting cards make perfect vintage scrapbooking embellishments, as do clipart images from years gone by. And if you're fortunate enough to find vintage designs on digital scrapbook papers, you'll have the best of both worlds. Antique art also covers a range of subjects, including images as diverse as these pretty vintage airline posters, vintage flower baskets, Victorian fashion illustrations, magic show posters and old sailing ships. So whatever subject you're trying to cover in your scrapbook, you can probably find antique art to match. I've definitely noticed that scrapbookers love flowers, and why not? They're appropriate for almost any occasion. Butterflies attract a large audience too, because they represent summertime, freedom, happiness and other cheerful things. Flowers and butterflies are also diverse, because an abundance of them can be found as both illustrations and photos, and in modern and vintage styles. You can even find some free vintage butterfly scrapbook papers that have coordinating modern and vintage designs available in the same collections. Weddings and scrapbooks were naturally made to go together, because wedding photo albums have always been traditional anyway. But if you can make it a wedding scrapbook instead, you can preserve your memories in an even more creative way. There are many good free wedding scrapbook images online that will allow you to create one of these very special mementos with no or little cost. And if you can't find any specifically for weddings, flower images can also give you a pretty look. As is the case with wedding ceremonies, tiny tots invite the taking of photos. And what scrapbooker wouldn't want to pass down a beautiful baby scrapbook to her child as he or she gets older? Fortunately, you can find a huge selection of scrapbooking designs for babies. If you haven't looked at baby images for a while, though, you might find the color schemes a little surprising these days. Chocolate brown, burnt orange and red are popular, as are various shades of green. Of course, you can still find lots of blue and pink, it's just that you can find a lot of bolder color choices too. So the next time you go looking for scrapbook images, check out what's available on the Internet. You might be pleasantly surprised at the free images you'll find. Deciding to use Halloween clip art can give business messages and craft projects visual impact beyond what you might expect. Using it is a good idea for people who are not artistic but still want to have more professional-looking Halloween cards, invitations, scrapbooks and personal web pages. Anyone can use it, but I've experienced that scrapbookers have even more creative uses for Halloween clip art, because they use it to make printable or digital scrapbooking papers. They may have started with standard Halloween clip art but what they ended up with is something else entirely. There are also those who use clip art images to make their own Halloween skeleton masks. They either download larger clip art images suitable for masks or make them out of free printable masks available on the Internet. Either of those methods make it easy for almost anyone to create a custom-looking mask for free. There are many clip-art images suitable for Halloween, such as pumpkins, skulls, spider webs and witches -- to name just a few. There are also a variety of Halloween messages framed by scary and fun borders. And if you prefer a lighter touch, humorous Halloween images are available too. You can even find cute animated Halloween cartoons. Some can even be a little risqué, but that just makes the holiday even more fun. 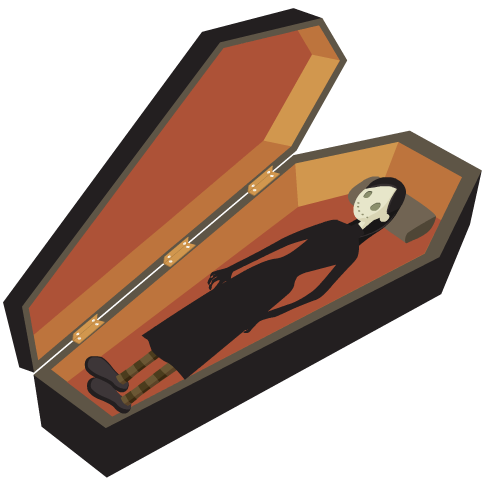 There are a multitude of sites on the web where you can download Halloween clip art for use in word processing or graphics software. But even though there are sites that offer free clip art galleries, you may want to buy a subscription to a website that offers a large selection. No matter which site you choose, it’s important to use their on-site search engine well to avoid wasting time by browsing through every image. Many people choose to compile their own vintage Halloween clipart collections they use to dress up Halloween greetings, personal websites and a variety of print projects. This cuts down last-minute searching, which is especially helpful during the hectic time right before Halloween. And since Halloween comes around annually, having Halloween images on hand will save time not just this Halloween but in the future. Here are a few tips to help you get the most out of the images: Size and color is key when using Halloween clip-art images as backgrounds, so text placed on top of it won't be obscured because the images are too similar. In addition, it's important to stick to a central style and theme so your final results won't be too gaudy. You'll find that following these simple rules will give you good results. With economic times being as tough as they are, many weddings won’t be as opulent as they might have been a few years ago. But not to worry, because the World Wide Web allows many options for designing quality wedding components at home. Getting much of what you need for your wedding online can make a big difference in the final price tag. You’ll be happy to know there's quite a bit of free vintage clip art you can find online that will help you design your wedding theme. Since there’s a lot involved with finding the perfect wedding clipart, it might be prudent to ask for assistance from family members. Time to call in the troops! But what if you and your family and friends don’t know where to begin your search for wedding clip art? First, consider your own personal home decorating style. That should give you a good general idea of your tastes. Which colors are the most prominent in your home? Understanding your color preferences is a terrific place to begin. Next, you should determine whether you like fancy or plain, frilly or tailored. Taking stock of the color and feel of your home will allow you to more easily settle on a wedding theme. Once you know what hues you want to pursue, do an online search for vintage flower clipart. Why do I recommend free vintage flower clip art instead of something more modern? Because you’ll find that vintage art has great diversity and creates a classic feel. If you really want to make sure your wedding has a classic look, look for vintage rose images. If you use these perennial favorites on your wedding invitations or favors, people will think a lot of money was spent on them. Using these lovely classic flowers will show everyone your good taste. This blog is all about the many ways you can use vintage art -- from scrapbooking, to card-making to blogs and Web sites. We also provide links to great free vintage art sites that will help you live your vintage dreams!